dry skin, hot spots and problem areas. At Panacea Life, we are focused on creating research based, naturally derived products that improve the lives of patients. Our mission is to do this by bringing therapeutic products into the mainstream of healthcare. Many hemp oil products on the market today utilize an extraction process that requires the plants to be ground up. This destroys some of the quality of the oil and results in a less-than-pure product. Our proprietary extraction method preserves the integrity of the plant and the natural purity of hemp oil. Internal and external stressors can have a big impact on functions such as mood, sleep, appetite, hormone regulation, and pain and immune response. To manage these symptoms, many people turn to synthetically derived medicines with side effects that can be harmful, and even fatal. Dollar for dollar, our products deliver one of the highest concentrations of hemp oil extract available on the market. 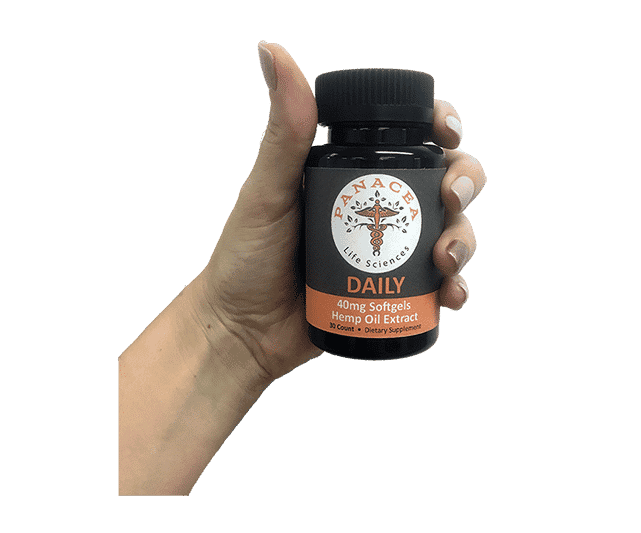 Not only does each tablet contain a high concentration, their melt-in-your-mouth delivery ensures that the maximum amount of hemp oil is absorbed into your blood stream. Sublingual tablets melt quickly under your tongue, allowing your body to absorb more of the active ingredient and naturally occurring antioxidants of hemp oil. Create a future with CBD hemp oil extract. Bring your mind and body back into balance FAST with melt in your mouth tablets. Although phytocannabinoids have been utilized in ancient medicine for centuries, they have only gained notoriety for their pharmacological-level potential in the last decade. Over 1600 scientific articles have been published on their mechanism of action, and interest in researching the phytocannabinoid is likely to continue to grow exponentially. All Panacea Life Sciences products contain either 0 THC or less than .3% THC.